We are involved in manufacturing and supplying of premier quality Portable Offices. This offices are designed and developed using best quality raw material and technology. 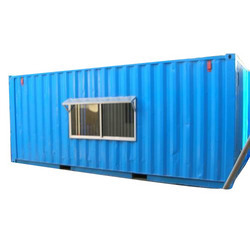 Our clients can avail these portable offices in different colors, sizes and designs as per the given specifications. Looking for Portable Offices ?